WOW-we are so excited to have stumbled across one of our very own nursery art prints featured on ohdeedoh.com! We are HUGE fans of their awesome parents, babies and kids blog and are completely flattered to be featured on it and among such great company! Thanks ohdeedoh! 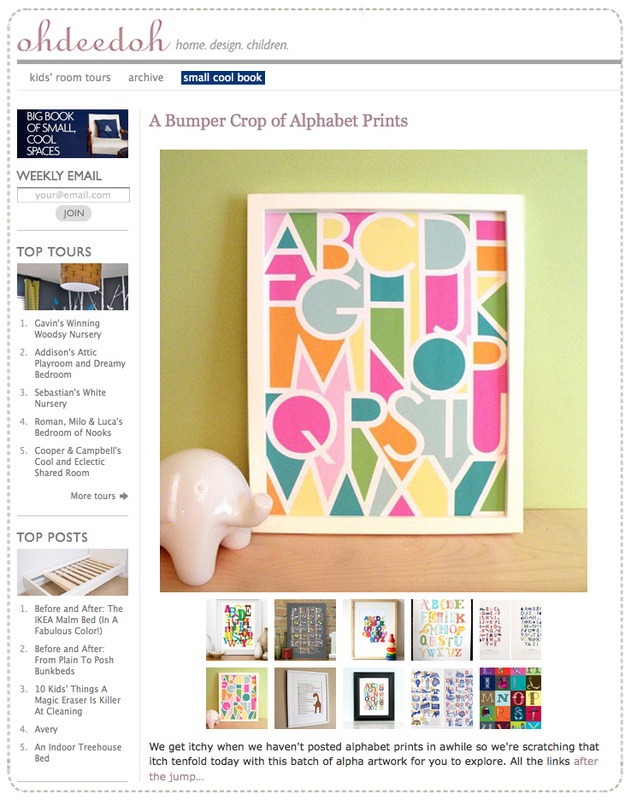 Here's a link to the print on our shop ampersand etsy shop!